Why is Zazzle Called Zazzle? College is a time for creativity. During these formidable years, students are immersed in a culture of learning and evolving. They are surrounded by people who are of the same mindset, all observing problems and using critical thinking to come up with solutions. In this environment, ideas are inevitable. And while not all of them are great ideas, some of them are good enough to change the game. Just ask Jeff Beaver.He and his brother, Bobby Beaver, were economic students at Stanford when they had an idea; to create an online store that would produce items on demand instead of en masse. The virtual marketplace would allow people to customize their items, choosing size, color, shape, and ultimately, design. It would be the end of the assembly line era and cater instead to personalization. With the help of their father, they would call it ECOD, for electronic custom on demand. Why is it called Zazzle? ECOD didn’t last. Eventually they would rename it Zazzle, which likely means exactly what it sounds like– something cool, unique, and maybe even sparkly. Or as Urban Dictionary defines it, having “style, charisma, or flair.” The word itself could be an adaptation of dazzle, which means to impress deeply, only with an extra z for more naming points and, well, more flair. 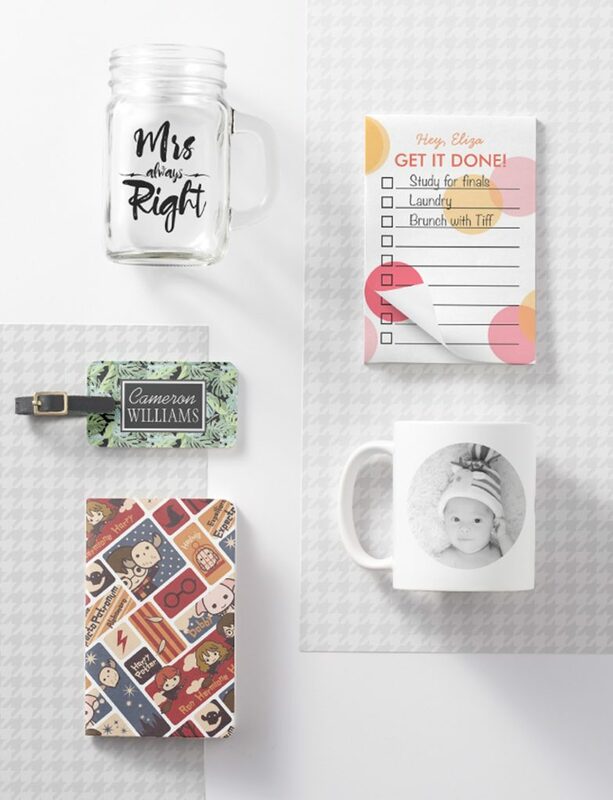 Because who wouldn’t be dazzled by customized on-demand products made with Zazzle? This way, both producers and consumers get the best of both worlds: personalized products without a bulk order requirement. The prospect is undeniably appealing, as they now claim to carry more than 300 million unique products where they once offered only t-shirts and posters. In celebration of their 10th anniversary, the company proclaimed, “In 2005, about 300,000 products were published in the Zazzle marketplace. Today, nearly that same number is published… Every. Single. Day. Today with over 300,000,000 products in our marketplace, Zazzle dwarfs nearly all the of the largest retailers in the world. Lastly, Zazzle has publicly disclosed that its revenue is in the ballpark of $250 million annually, and even better, the business is profitable. Nearly 20 years after the spawn of a collegiate idea, Zazzle has seemingly realized its potential to “give anyone, anywhere the power to make anything imaginable.” Thanks for reading Why is Zazzle called Zazzle! Have you made something with Zazzle? Tell us what about it in the comments! #whyisitcalledZazzle.